For people living in Philadelphia, PA, or anywhere else in the region for that matter, Philadelphia tax services could prove very useful indeed. Preparing and submitting your taxes can be a long-winded, arduous, drawn-out affair that can cause a lot of unnecessary stress. This is why more and more people are utilizing Philadelphia tax services instead. Our experts know everything there is to know about taxes, and all things relating to the IRS, and they are there to advise you, help you, and do all of the hard work for you. When it comes to your taxes, one particularly stressful situation to find yourself in is when you are chosen to be audited by the IRS. If this applies to you, worry not, because below we’ll compile a helpful list of tips for if you’re ever chosen to be audited. What is an IRS tax audit? – An IRS tax audit is a procedure where the IRS thoroughly examines your personal and business bank accounts, financial records, and receipts, to make sure that the tax info you submitted to them, was accurate. They will go through virtually every aspect of your finances you can imagine, so it’s important to prepare as best you can. It is your right to find out how the audit will be carried out, you can ask why you have been selected, and you can find out when. We represent individual and business taxpayers before the IRS; you do not have to be present at the audit. What to do when you are audited – Now let’s take a look at some useful tips for what you should do when you are audited. Be realistic with your expectations – If you’re in the Philadelphia, PA area and are chosen to be audited, it’s important to be realistic with your expectations. For example, you have likely been chosen to be audited for a reason, so you should not expect to come out of the audit without owing at least something to the IRS. On the flipside, do not expect the worse as it is unlikely you are going to owe life-changing amounts of money. All circumstances are different, so make sure you are realistic with your expectations, to avoid disappointment and to keep a level head. Request more time – When being audited, one top tip often shared by our experts over at Philadelphia tax services, is to delay whenever possible and to request more time if need be. This is your right and more often than not, the IRS will be happy to oblige. By requesting more time you have more time to get everything in order, and of course, to contact us Philadelphia tax services so we can help you. Call us at 1-877-788-2937. Get all of your finances in order – When you are audited, it’s important to ensure that you have all of your finances and records in order. You will need banking details, receipts, and any other relevant documentation. This is where it pays to have spoken to our tax experts in Philadelphia, PA, in advance, as we would have spoken to you about the importance of implementing an effective filing system. How Philadelphia tax services can help you – Once the audit is complete, you will receive the results not long after, and, depending on the findings, you are well within your rights to appeal. Speak to the auditor and ask them to clarify their findings, and consider arranging a meeting in the hopes of reaching some form of compromise that works for both parties. Again, at Philadelphia tax services, we should be able to go through the findings with you and offer you the necessary tax help and advice. 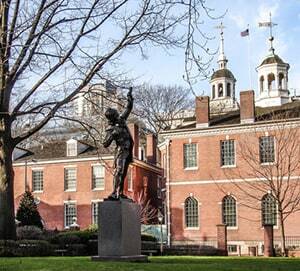 Philadelphia is Pennsylvania’s largest city, notable for its rich history, on display at the Liberty Bell, Independence Hall (where the Declaration of Independence and Constitution were signed) and other American Revolutionary sites. Also iconic are the steps of the Philadelphia Museum of Art, immortalized by Sylvester Stallone’s triumphant run in the film "Rocky."